KEEP Collective, the sister brand of Stella & Dot, featuring customizable keepsake jewelry and timepieces, introduces a new collection with iconic brand Disney. The collaboration is debuting with a selection of seven Mickey Mouse and Minnie Mouse inspired charms, including the classic characters themselves. 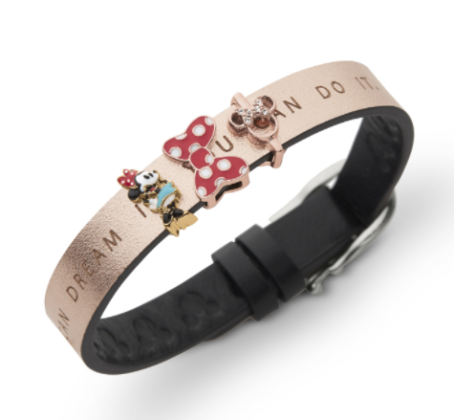 The collection also features a reversible genuine leather bracelet band with the quote “If you can dream it, you can do it”. 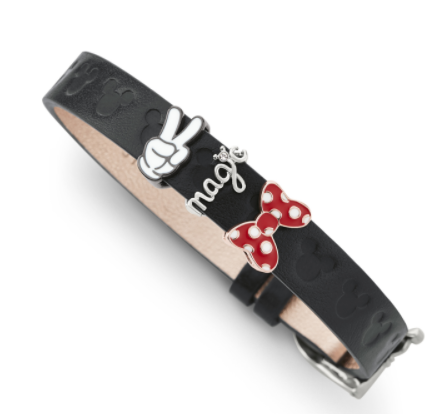 Customers can mix and match charms and bracelet options to create their own unique Disney jewelry. 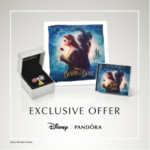 All the pieces reflect the iconic magic of Disney and come in exclusive packaging. 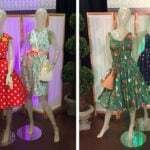 The new Disney collection will be available July 18th, 2017, with prices ranging from $15 to $39. 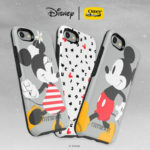 “We are beyond thrilled with the Disney and KEEP Collective collection. The marriage of Disney’s iconic characters with KEEP’s one of a kind personalized jewelry, unlocks an exciting new way to capture the Disney magic. Our Independent Business Owners will share the KEEP and Disney collection using innovative social selling technology, which breaks away from the traditional retail channel and enables business owners to earn a flexible side-gig income,“ says Dana Bloom, General Manager of KEEP Collective.